Dr. Ahmed is a fellow of the American Heart Association (AHA) and American Stroke Association (ASA) Stroke Council. Pikeville Medical Center (PMC) is pleased to welcome Neurologist Dr. Naveed Ahmed to its team of specialists. He received his medical degree from Mysore Medical College in Mysore, India, where he also completed an internal medicine residency. 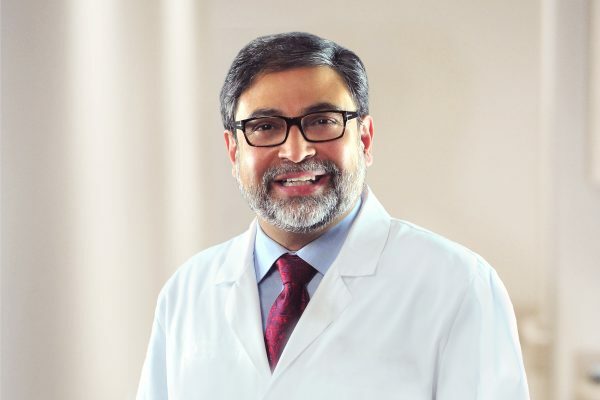 Dr. Ahmed practiced internal medicine for more than five years before he and his family moved to the United States to further his education and career. He completed an internal medicine residency at Raritan Bay Medical Center in New Jersey and a neurology residency at Mount Sinai School of Medicine in New York. Dr. Ahmed completed a fellowship in neuro-rehabiliation and pain at Stony Brook University Hospital in New York and a second year of fellowship in spinal cord injury medicine at Harvard Medical School. Dr. Ahmed resides in Pikeville and is married with three children. Outside of medicine, his hobbies include playing table tennis and spending time with family and friends. For more information about PMC’s neurology services, call 606-218-3500. To schedule an appointment, call 606-218-2208.